The Practice and Implications of Teleradiology - ONRAD, Inc.
Our CEO, David Willcutts, met with Jeff Fleming of Carestream at RSNA 2013 in Chicago, IL to discuss the ACR Task Force’s white paper on Teleradiology Practice. The ACR white paper highlighted issues that are not unique to just Teleradiology but important to the Radiology community as a whole.  For example, ONRAD has board certified, fellowship trained radiologists on its staff, as well as onsite at many of its client locations. Therefore it is vital for us to maintain and manage items such as licensure, efficient turnaround times, HIPPA compliance, and robust QA and Peer Review programs on a daily basis. For Onrad, it’s a collaborative effort on behalf of our Physicians, Technology, Quality Care and our Partners, like Carestream, working seamlessly together to provide the best services and patient care. Click below to view Dave’s interview in its entirety. We look forward to receiving your comments!